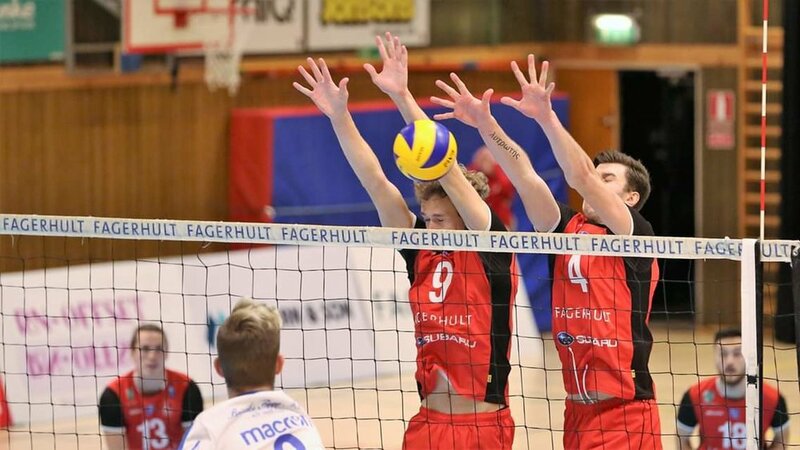 Calgary Premier League Athletes Miranda Dawe and Alex Donaghy have recently joined forces in Finland playing for LiigaPloki. Both women played in the inaugural season of the Calgary Premier League last year, Miranda with the CMS Crush and Alex with Trolley 5 HITT Venom. They are former teammates from Red Deer College and now they’re teammates again! Miranda - how are you enjoying your first season overseas? 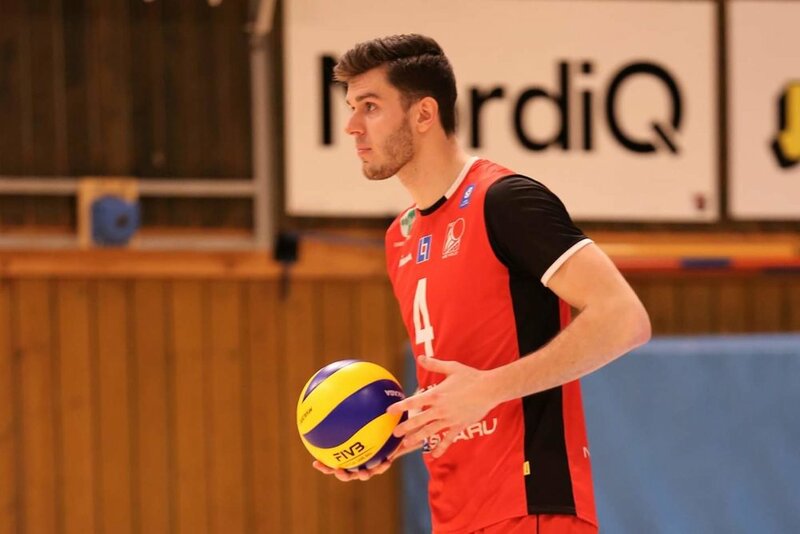 What is the biggest surprise in playing professional volleyball compared to university? Did you have to make any adjustments in how you train, sleep or eat? My first season so far has been crazy; there have been so many new and exciting things I’ve come to experience and other tough/demanding experiences I’ve had to work through and learn from. The biggest surprise coming from university ball is probably the age range of the girls playing professionally! In the Finnish league (as far as I know) there are players as young as 15, and players as old as 40+! That’s crazy to me! In university, the girls are typically within a 5-6 year age range and getting to play alongside and against much older and younger girls is really fun and you learn a lot just by being able to compete against them. In regards to any adjustments, yes, I’ve had to make some changes to my diet and sleeping while being here. My team typically trains twice per day and almost every day so if I don’t eat enough or get good sleep I don’t have enough energy in practices and my mood isn’t the best. That being said, I’ve come to find that having a routine really helps with eating and sleeping properly and my energy levels are better now than a few months ago! How would you compare competing in Calgary in the Premier League to competing in a league in Europe? Are there any differences in expectations? Miranda: Expectations in practices and games at the professional level are a bit higher which is understandable now that it is your job to perform. In the ONE Premier League, it was a good introduction for younger athletes to understand what higher competition expectations look like and to experience playing alongside athletes who are able to demonstrate that in training. I think that the Premier League was great for returning university players and for those of us who are overseas for introducing new teams and having us find ways to learn how to be successful with a new group of athletes. 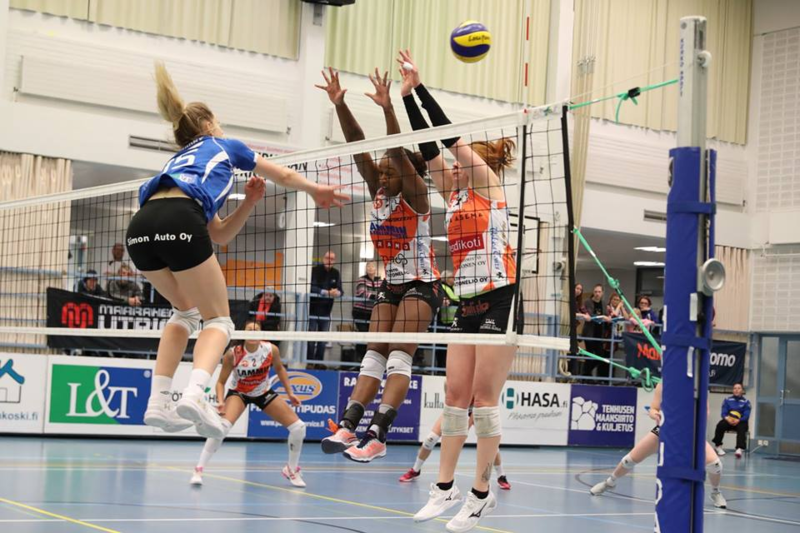 What made you pursue volleyball professionally? Miranda: I wanted to pursue volleyball professionally mostly because I still have such a passion for the sport and I wasn’t ready to be done after college. I also wanted to travel after I graduated and thought this would be the perfect opportunity to see the world and continue playing a high level. Alex: Continuing to pursue volleyball has been important to me because I have a huge passion for the sport. At this point in my life (and for many years past) I’ve been more invested in volleyball than I have been in almost anything else. Beyond the passion and joy I still have for volleyball, I’m not ready to give up the game because in my senior year at MRU, I felt like I was finally playing well. In my three years at MRU, I had been growing steadily as a player and as an athlete and when I graduated, it felt crazy to give up on all that progress. It felt like the best was yet to come. Leaving my volleyball career would’ve felt like a sad abandonment of all the progress and all the potential that I think I still have. Alex - Congrats on getting a contract mid-season! How are you feeling, what emotions are you feeling? Since this is a recent development, how has the transition been? Did you think you'd end up overseas playing professionally? Thank you! I was thrilled to get a contract. Beyond my excitement, I was also very relieved not to have an entire season of volleyball pass me by. Playing professionally was a goal that I was unwilling to let go of, even once September hit and the critical time for signing with a team had passed. I'm grateful for the role that Miranda (friend and former teammate at Red Deer College) played in helping me secure my contract, she vouched for me, and I believe she even told the club that they could send us both home if I wasn't good enough to replace fill the opposite position on LiigaPloki. No pressure right 😉. I will admit that I was nervous, especially since I had a longer off-season than I had planned and wanted to prove that I was worthy to play for my new team. At first, the transition was a wild ride. I quit my job, signed my contract and flew out three days later. I think I played in three games in the first 8 or so days after I arrived in Finland. My first weeks here challenged me to return to and exceed the level of performance I was at in the final months of my university career. In addition to that challenge, I was also playing as a passing opposite. 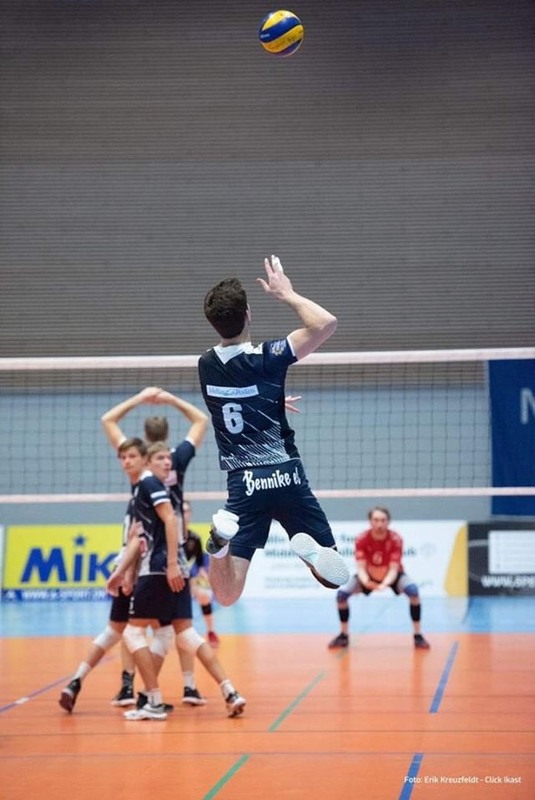 Although I played as a left side for my team in the ONE Premier League, my reception experience is almost exclusively practice reps with MRU and my season with ONE Volleyball. Currently on my team, myself and another player are both optional passers, whichever player is passing best steps up. Sometimes that’s me and sometimes it’s not. It’s likely the added challenge could affect my performance but ultimately, right now, I’ve been focused on how addressing this challenge impact my team and our flow. Alex - Miranda helped secure your spot on the team and told the coach they could send BOTH of you home if you didn’t meet expectations. How does that impact your mentality and mindset towards the game? Is it still as fun going to practices and training knowing there’s more pressure? Ultimately, I’m still in the honeymoon phase - I still LOVE the game. Now that I’m officially getting paid to do what I love, it feels like I can fully justify the commitment and effort that I’ve been putting in for all these years. I still love practice (after I’m warmed up, something about warming up is always a grind!). I am finding that I have more goals and have a renewed motivation toward my training now that my professional career is underway. Like I mentioned, I don’t feel like I’m the best player I can be yet and I am always after the joys and highs that come with the hunt for my best performance. Right now, the greatest amount of pressure I’m feeling is to find a contract again next season. I’ve got some long-term goals now and I’m doing my best to play well to ensure that future opportunities are available. 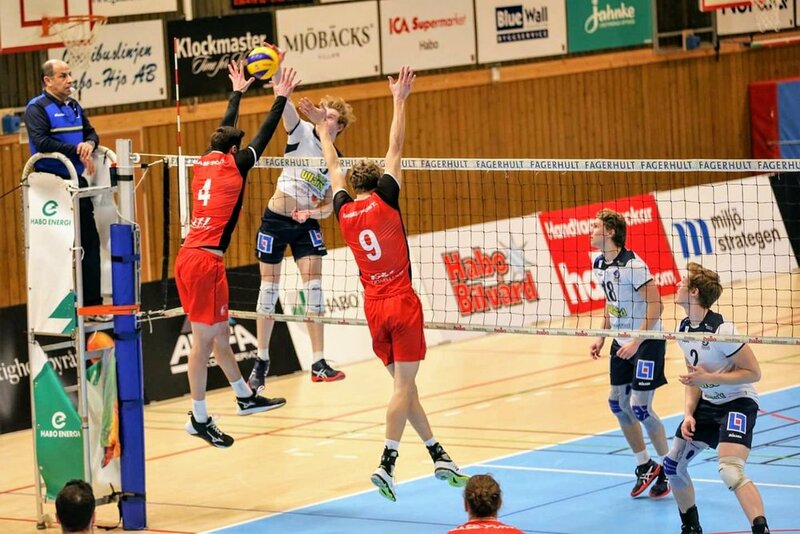 I don’t think I’d be motivated to continue pursuing a professional volleyball career if I didn’t love it enough to accept the pressure and other challenges that also come with the pro athlete package deal. As we prepare for the third and final Challenger in Toronto, we are excited to announce that the Canadian Armed Forces Women’s National Team will be joining us! Last year, we had the privilege of hosting the Men’s National Volleyball Team at Challenger No.4 and although they didn’t take home the cash prize, they brought a ton of energy to the court. So, who are these ladies you ask? We dive into what drives these amazing women below. This Canadian Armed Forces team represents Canada at home and abroad, competing against other Armed Forces National teams. Many of the Armed Forces teams are comprised of Olympic calibre athletes, whose job in their respective military is to be a full-time athlete. This is not the case for the Canadian athletes. They all have distinct occupations, and competing as an athlete is a privilege that is only afforded when it doesn’t affect Canadian Armed Forces operations. Additionally, training and competing together for the Canadian team is limited to several times a year, as the athletes are spread out all across the country. Limited in training opportunities, the Canadian team continually seeks out high level competition and experience and are excited to have options like the Challenger series available to them within Canada. The Canadian Armed Forces (CAF) is a member nation of CISM (Conseil International du Sport Militaire), which is one of the largest multidisciplinary organizations in the world, comprised of 138 member countries, who organize sporting events for the Armed Forces. CISM annually organizes over 20 Military World Championships for approximately 30 different sports, for continental and regional competitions. The CISM motto is “Friendship through sport”, facilitating sporting activities that promote peace and solidarity. This year, CISM will be holding the Military World Games in Wuhan, China from October 17 to 27, 2019 where Canada will be well represented in several sports, including volleyball. This multisport event are second only in participant size to the summer Olympic Games. Lieutenant (Navy) Carolyn Pumphrey is from Gander, Newfoundland. She currently plays libero for the CAF CISM team and participated in the World Military Championships in Edmonton in 2018. She enrolled in the military in May 2007, is a Naval Warfare Officer and currently holds the position of Squadron Commander at the Royal Military College of Canada (RMC). Lieutenant (Navy) Kelsey Chang is from Richmond, British Columbia. She played libero for RMC from 2009-2013 and was libero for the CAF CISM team from 2010-2019. She participated in the World Military Games in South Korea (2015) and Brazil (2011) and the World Military Volleyball Championships in Edmonton (2018), USA (2017), Costa Rica (2013), and Netherlands (2012). She enrolled in the Naval Reserves in 2009, is a Personnel Selection Officer and is currently working as a Recruiting Officer for the Army Reserves in Kingston, ON. Lieutenant (Navy) Ali Beaver is from Nova Scotia. She played left side for Saint Mary's University in Halifax from 2007-2011 and Team Nova Scotia in summers 2008/2009 for the Canada Games. She enrolled in the military in April 2013 as a Naval Warfare Officer and after coming home from deployment last July was posted to Ottawa as the Attractions Officers at the Canadian Forces Center Northern and Eastern Ontario (CFRC NEON). Lieutenant Marianne Pichette is from Longueil, Quebec and is currently a student in Physiotherapy. She played middle for the University of Ottawa (2011-2012), CEGEP de l'Outaouais (2008-2011) and for the CAF CISM team (2015-present) where she also participated in the World Military Championships in USA (2017). She enrolled in the military starting in the Primary Reserves in the 2008 and transferred to the Regular Force in August 2018. Officer Cadet Kara Stephan is from Barrie, Ontario and is a fourth year student at RMC. She plays left side for RMC and the CAF CISM team where she has participated in the World Military Volleyball Championships in Edmonton (2018) and in USA (2017). She enrolled in the military in May 2015 and upon graduation will be commissioned and will become a Communication Electronic Engineering Officer (CELE); she is hoping to go into cyber defence. Sergeant Emma Porter is from Ottawa, Ontario. Sgt Porter currently plays as setter and has been part of the CAF CISM team from 2013-present. She has participated in the World Military Games in South Korea (2015), the World Military Championships in USA (2017) and Costa Rica (2013). She enrolled in the military in 2008 as a musician and is currently a Recruiter at the Canadian Forces Recruitment Center. Master Corporal Isabelle Moo Sang (Hendy) is from Quebec City, Quebec. MCpl Moo Sang currently plays middle with the CAF CISM team (2014-2019) and attended the World Military Championships in Edmonton in 2018. She has been in the Primary Reserves for over 12 years as an infantry soldier with the Cameron Highlanders of Ottawa and currently works full-time for the Federal Government - Transport Canada, since 2009, as a Policy Advisor. She also has two children named Fiona (3) and Winston (1). Leading Seaman Norah Collins is from Cedar Valley, ON. She is an outside hitter and has played for RMC from 2009-2013, Team Canada Full Time Training Centre and CISM. She has participated in the World Military Games in South Korea (2015) and Brazil (2011) and the World Military Championships in Edmonton (2018), USA (2017), and Costa Rica (2012). She enrolled in 2009 and is currently an HMCS Cataraqui Recruiter. To learn more about the CAF CISM Women's Volleyball Team, check out and follow their Facebook page.